It sure seen that every time I turn around I have a major problem. This time it was serious one, we being Dudley and myself blew an engine on the D-18,as we made our approach we increased the power to maintain our altitude, and then a big Bang, hehe not the TV series, and to no surprise, there wasn't another engine within a million miles so it seen. Here we go making, a long story short. At the airport here at Cuidad Victoria there was an X-army C-46 and that a old man said it was in good shape, and so far he own it, hehe, he said swiped it from one of the drug runner as he was picked up by the local police. The old fart started laughing! 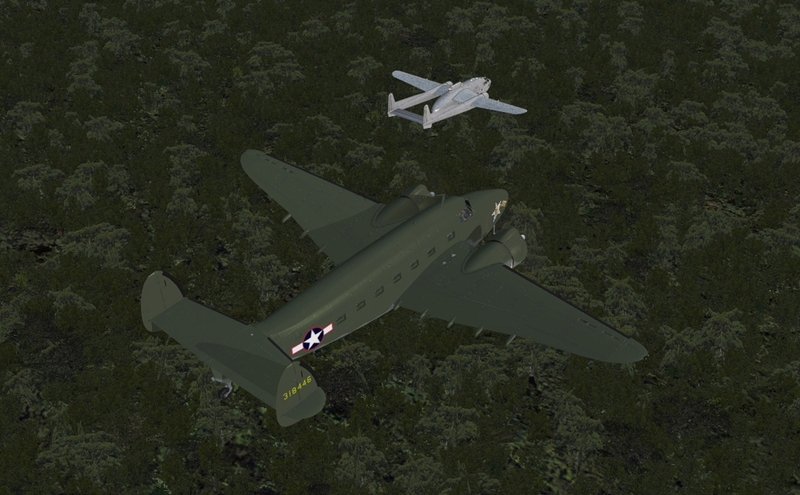 "Ok, now that you have had your joke what do you want for the plane" question Dudley, well any way we made a deal for the C-46! All we got to worry about is if some of this guys friend sees us flying around in this bird, and start shooting at the plane. The old guy said no problem the owner at the time didn't have any friends. As you can see that really helped! Back to business, Rob and I left Cuidad Victoria MMCV and headed to Cerro Azul MM34 where I understand there is a lot of Black Gold! See you all next time. Rob and I left Cerro Azul and headed towards Puebla MMPB, and we are going to need to climb to an higher altitude the bloody airport at Puebla is at 7361 feet, but a nice thing is that the runway is almost 12,000 feet. Sometime along this trip Rob did some horse trading with an local aircraft dealer haha he ended up with a, I believe and ex cia bird C-46. 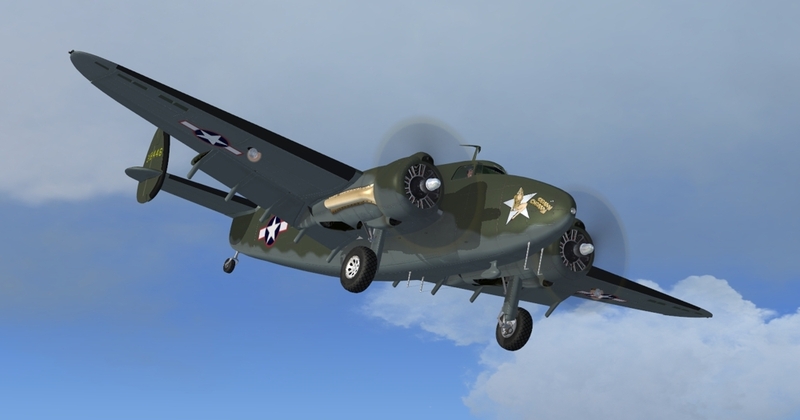 With two C-46 flying around Mexico I'll bet most and the federal boy are thinking that we are here to pick up some of that stuff that would make you fly sky high. hehe, but I think we are after a different kind of treasure! But we sure are going to keep them guessing! One thing that seem to be out of place was that the last people we contracted to pick up some cargo told us to park close to the fence. hehe sounds kind of, we maybe in some kind of poopie. Well, in spite of some odd hiccups we dragged our tired butts into MMMT (Minatitlan, MX) and didn't see the Federales waiting to haul us off to a dark place so I guess we can call it another successful flight. Here are a couple of pictures from XoXocotlan MMOX to Minatitlan MMMT. The last few flight it was like yo-yo time up and down in altitude, but what the heck it kept us awake for a change. hehehe. Three chicken' flap their wings and headed from Minatitlan to Cuidad Del Carmon MMCE...Now the weather was showing some of it's tricks. A low overcast of clouds or maybe some ground fog. Hey, later on the weather cleared and from that point until touch down it was a nice flight. The next flight will flying over to MMMO. On upon landing I expected to see a few Policia or the federales waiting for us as usual, but shucks, hehe no one was here to welcome us boy that really hurt my feeling, I'll bet you really believe that! CU all later. Keeping up with the whales in the Lodestar. Along with Moses we crossed a small part of the Gulf of Mexico and headed to the Yucatan Peninsula then on to Cuidad of Merida which is in province of Yucatan. As we were getting the plane ready for the flight to Merida one of the helper from the airport who giving Dudley and myself ready for the flight just happened that we were flying into the land of the Chisos so be careful. So, being a dumbie asked him what he meant about the land of Chisos? With a scared look in his eyes and shuffling his feet around finally told me that it means Phantoms. Hehe, that' all we need is some strange tales. Willy and I furthered the effort down to MMCM Chetumal. Had to be aware of jet wash from his shop heater extra. 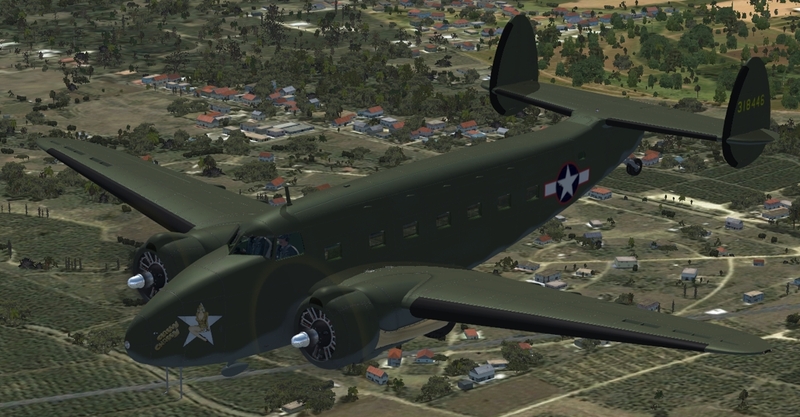 I was able to get in a little Flight 19 action tonight. A couple of pics from the flight to MMCM. It was a little hazy up to 2000ft. And it looks like Mexicana has commercial flights to MMCM too.